Our mostly-weekly survey of the tidbits that cross The Eight-Year-Old’s desk. This week, The Eight-Year-Old takes a break from fishing to indulge in a bit of nostalgia reading about life in first-grade, homes with gigantic gardens, and those good old days when people still sent letters by post. First-grader Roscoe Riley is super-excited about his class’ upcoming performance for the school open house. The trouble is, none of his classmates will keep still. A budding gardener herself with a fondness for mysterious places and exploring hidden nooks, The Eight-Year-Old was captivated by the story of the orphaned Mary Lennox, the animal-whisperer Dickon, and their attempts to bring a forgotten garden back to life. When Nancy Drew receives a letter intended for an English heiress, she naturally tries to return it, only to find out that the heiress is missing and a very nasty sort of man is planning to steal the inheritance for himself. In case you missed it, about a month ago (hey! it’s summer) the Huffington Post ran an article about Katie Deline-Ray, a woman who spends her time knitting and crocheting little nests for injured baby animals. Deline-Ray started knitting the nests back in 2013, and has sent hundreds of the nests to wildlife groups around the world. 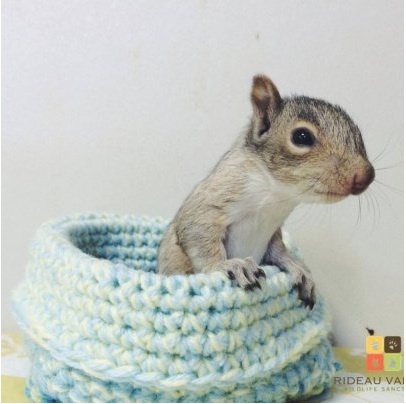 Her nests have been used to provide injured and orphaned squirrels, birds, raccoons, bats, possums, skunks, chimpmunks, rabbits and even a teeny mink a warm, soft space to cuddle up while they are recovering. You can follow Deline-Ray’s efforts on Facebook at Wildlife Rescue Nests, or even download a pattern or two to make some nests of your own to contribute. Deline-Ray has about 250 volunteer knitters, but is always looking for more. 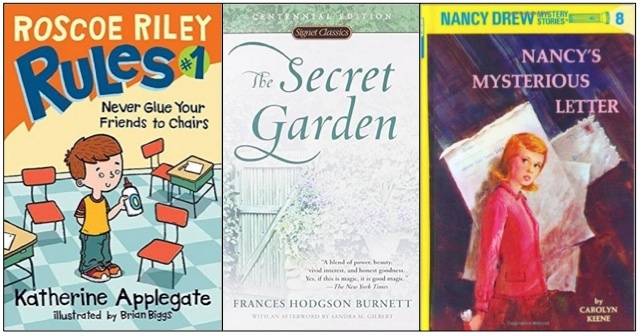 Mainly read the Hardy Boys but also read Nancy Drew.